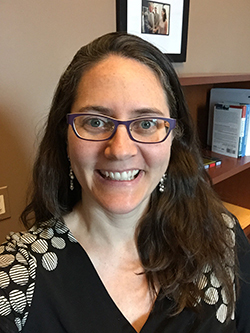 We recently sat down with Lisa Danzig, who’s leading work at the Office of Management and Budget (OMB) on the FY15 Cross Agency Priority (CAP) goal on Customer Service (CS). The CS CAP goal aims to help agencies deliver world-class customer service to citizens that’s on par with leading private sector services by streamlining transactions, setting customer service standards for high impact services, and making it faster and easier to complete transactions with government online. As one of only 15 CAP goals, it’s clear that improving the customer experience is a priority for the federal government, so we asked Lisa to tell us more. In the private sector, it’s obvious that you need to care for your customers. Though we may not have the same drivers in government, it’s also critical for us. While there’s not a lot of competition, good customer service supports greater efficiency and effectiveness. When we provide a better experience, we also build advocacy for our mission and goals. The public’s expectations continue to rise, and we need to be able to deliver information and services on par with, or even better than, the private sector. We have three main deliverables that we’re working on, and several cross-agency working groups that are helping us with this work. The first is the new Presidential Customer Service Award, which recognizes federal employees doing great customer service work, and by elevating the good work of our frontline staff, is helping to create greater visibility of this work happening across government. The second deliverable focuses on feedback and transparency. We’re developing a “Federal Feedback Button” (FFB) to gather customer feedback on direct interactions with government, such as at national parks or airports. It will also include an online component, like Yelp for government. The FFB will give operational managers visibility into what’s working and not, and measure customer satisfaction against similar services or across components. Finally, we’re working with our community of practice on a Customer Experience (CX) Toolkit, with practical tools and best practices to help agencies improve the customer experience. Obviously, we want to deliver on the three initial projects described above. We plan to announce the first winner of the Presidential Customer Service Award later this year. We’re starting to pilot the FFB and will move out of the pilot phase to expand the project in the fall. We’ll also launch the CX Toolkit later this year, to give agencies a set of ready-to-use tools. We also hope to grow the Customer Experience Community of Practice, and get more people across government working together on solutions. We want to encourage agencies to step back and see things from the customer perspective; how does their work fit into the larger agency mission and the customer’s experience? Are you coordinating customer support across channels? Are you talking to your customers on a regular basis? There is great power in individual effort in this space. Advocate across your agency to streamline and improve how we design and deliver customer solutions. Always question how we’re serving customers. Do we listen and respond quickly to concerns? Are we doing something because it’s easier for us or easier for the customer? Use tools such as journey maps and personas to put a human face on the work we do. How can we make these journeys easier for people? Join the new Customer Experience Community of Practice (CX-COP). Register online or email Rachel Flagg to join. You’ll learn about tools and training opportunities, and build relationships with colleagues at other agencies who can answer questions, solve problems, and help you accomplish your goals. Lastly, talk to customers on a regular basis. They’ll tell you what’s working, and what we need to fix. Improving the government customer experience will require celebrating the people doing this well, and for some a mindset shift, and support from everyone across government, be it on the front lines or the back office. You can help to lead this change at your agency. It will help you achieve your mission.